World Cup 2018 has reached the semi-finals. Soon we will see the two best teams meet each other in the final round. There are 4 countries fighting each other tickets to Finals. Certainly exciting and full of drama for football lovers. Prepare your best guess and won the prize. Let's Steemians and footballover participate in the contest, while celebrating the World Cup of Russia 2018. Inggris menyimpan rasa penasaran sama dengan prancis. 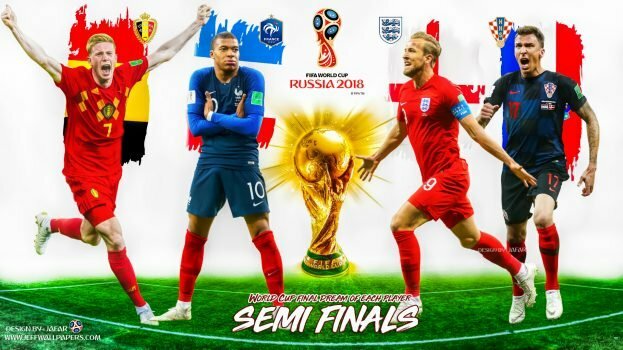 Tapi menurut saya Kroasia dan belgia akan ke final, sekaligus melahirkan juara baru.